Welcome to the MVRC Club Website! Welcome to the MVRC club website. MVRC is chartered AMA Club #546. It presently has over one hundred members brought together with the common interest and passion to build and fly radio control model aircraft (includes helicopters). The MVRC club welcomes visitors and especially new modelers. Our friendly members are always ready to answer questions about RC and have hosted several events for youth clubs like the Boy Scouts and the Mel Blount School for Boys. A brief club history is appropriate to help visualize the inception and growth of the organization from its modest beginnings to its present form. The founding members of MVRC in 1960 had begun flying powered model aircraft in the form of control line in the late 1940's and into the 1950's. They became friends and acquaintances pursuing this common interest and in time transitioned to the newly emerging and challenging radio control model aircraft technology. Then as now finding and retaining a good flying site was a problem and the club moved a few times in those first years. In 1967, club members discovered a nice field that was flat and of appropriate size. Upon making an inquiry they learned it was part of Cedar Creek Park that had been created just three years before under a County Park program included in a Federal "Project 70". Key club members subsequently met with the Westmoreland County Park Commission to request permission to use the field and a flying demonstration was organized. The Park Commissioners were impressed not having seen radio controlled aircraft before that time. A short time later the club was granted use of the field. More importantly it was learned that model aviation was a recognized recreational activity as part of "Project 70" and that Mon-Valley Radio Control Club was the first such club in the USA to be considered under "Project 70". This original RC flying site remained in use by MVRC until 1984 when the Park Commission decided it needed the area for Sports use (baseball, football & soccer) and a new RC field was developed nearby in the park where MVRC is presently located. See the following photos. 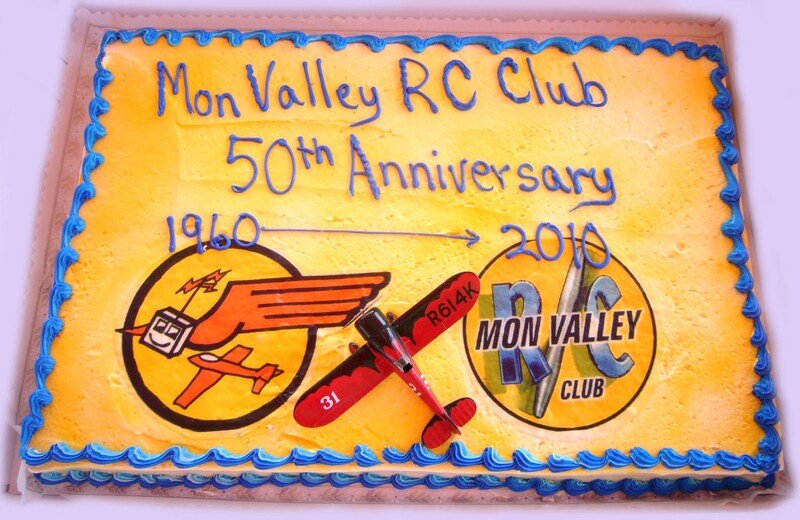 In 2010 MVRC celebrated its 50th Anniversary. Three of the original founding club members were able to be present. We are grateful to all founding members for their efforts and foresight that has provided the club with this great location to join with friends and fellow modelers and enjoy RC flying and camaraderie. We also want to express thanks and gratitude to the Westmoreland County Park Commission then for the original permission and trust to have an RC flying site in the park and all their on-going support during the following years until now present day.